HomeAllison Island Mahogany Entry Doors. 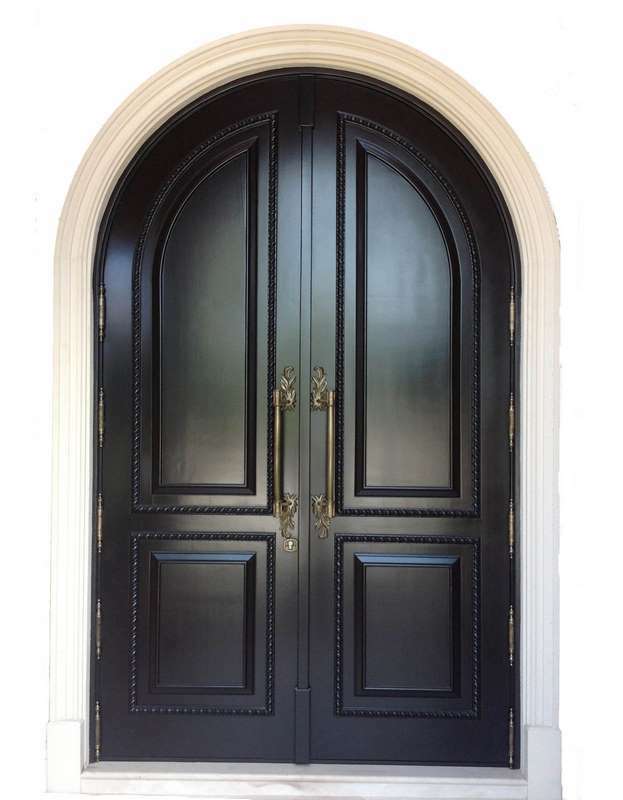 Utilizing select grade genuine Honduras Mahogany the full arch Allison Island doors are dressed with custom manufactured “Brickel pulls”, “Bedoya twist” handles and plates and “Brickel surface bolts”. The door is engaged with a multibolt security locking mechanism.